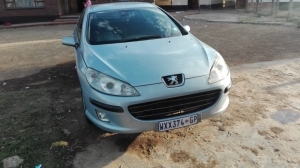 Peugeot 206 Convertible for sale or to swop for 5 door vehicle. Vehicle in very good condition. 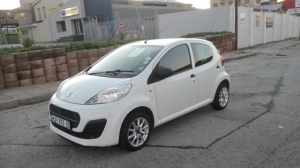 Car is in a good condition and is a family car 7 seater and can also be used for business (transporting school kids or as a lift club to work). No chance takers please call if you are serious. Service history, spare keys, clean interior, clean engine. Let\'s negotiate the price. 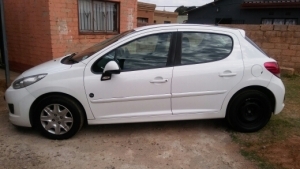 Peugeot 206 1.6L for sale, new tyre\'s, license disk is update date and all papers are in order, car is used everyday and still goes nicely, just needs bit of TLC in a few places. This car is in a very good condition that is inside and outside/body. It have a full service history/records. The car features are Electric windows, power steering, abs, central locking, air - conditioner and many more. To Sell or Swap with any car. The car is in a good condition. Has a smooth shift in transmission. Very fast. Peugeot, 206 2.0 GTi. Leather, MP3 Radio/CD, Electrical windows, full house. Full service history. Cambelt service done at 155 000 km. Being used daily. Great car!